An energising Vinyasa Flow Yoga class, like experiencing a great sunrise in your own body. Turn up the heat and awaken the flow of energy for your day. Living in alignment with the daily micro-rhythm of sunrise is one of the many joys to explore on the pathway to a disciplined and regular yoga practice. You can expect to sweat and feel satisfied with your efforts before a 5 minute shavasana. Level/Suitability: Open / Not suitable for injuries. A grounding Vinyasa Flow Yoga class. Think chamomile tea not espresso. Our approach to Lunar Flow is to slow down the rhythmic synchronisation of breath and movement enough that your nervous system stays in parasympathetic mode (“rest and digest” as opposed to “fight and flight”). You can expect to move fluidly, receiving the benefits of blood oxygenation and lymphatic flow to help shift any stagnancy at the end of your day. Wind down with long holds in inversions, hip openers, forward folds and shavasana before a great night’s sleep. Taste the rejuvenating nectar of yoga. A nourishing, gentle and slow-motion Vinyasa Flow Yoga practice with a restorative finish. This class is the answer when you need to move as much as you need to rest. 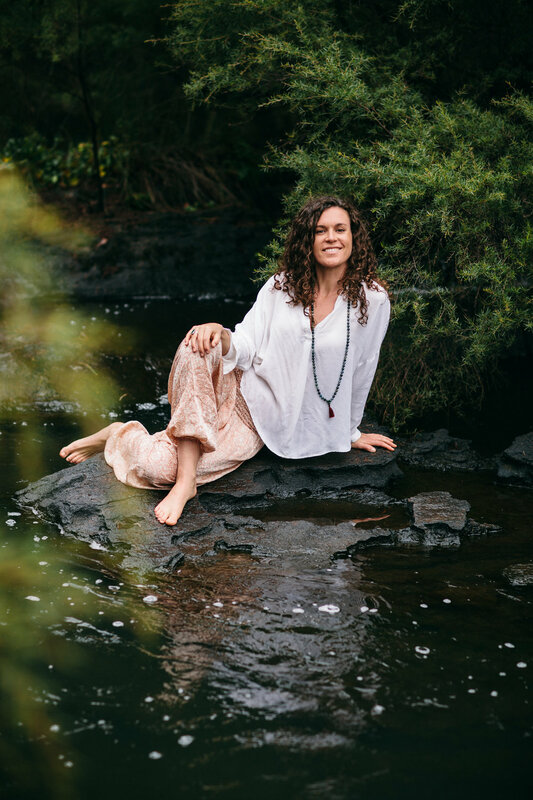 Learn the art of slowing down your breath, relaxing your nervous system and adrenals while awakening the flow of subtle energy through mudra vinyasa, pranayama and movement meditation. Return to a space of deep connection within yourself. Allow a luxurious amount of time in each pose and the weight of gravity pressing your body to earth to release the deeper layers of the physical body. In yin yoga we go beyond the layers of muscular tissue, accessing deep connective tissue and energy lines. Need deep rest?...you'll find it here. Yin comes highly recommended as a complementary practice to any form of yang/solar/active/power yoga. Turn your attention inward and ground any static in an overstimulated nervous system; a common by-product of the fast pace of modern life. Indulge in a self-care ritual during an oils infused Yin Yoga class. Allow a luxurious amount of time in each pose and the weight of gravity pressing your body to earth to release the deeper layers of the physical body. In yin yoga we go beyond the layers of muscular tissue, accessing deep connective tissue and energy lines. Need deep rest?...you'll find it here. Yin comes highly recommended as a complementary practice to any form of yang/solar/active/power yoga. doTERRA essential oils are used aromatically and topically throughout class to deepen your sensory awareness. If you prefer not to have oils applied to your skin please mention this to the teacher at the start of class. Planning on being a yogi for life? This class offers the essential skills and techniques to flow with freedom and ease through the other classes on the schedule. Tune up your alignment in a slower paced class with more detailed instruction. Polish the art of safe and effective transitions between poses while developing breath awareness, mental focus, core stabilisation, strength and flexibility. Refining the details of a safe and sustainable yoga practice is a constant process so weather you are a total newbie or a dedicated yogi this class will keep you on the right track. Music: Background music before class and into shavasana. No music during class. Prehab for yogis and athletes. Why wait until you are injured? Adopt this class as part of your maintenance routine, like taking your car for a service. A mixed modality class exploring breath work, myofascial release (muscle and connective tissue) and meditation techniques to loosen the grip of your mind and body. This class is beneficial for improving; tissue elasticity, range of motion, efficiency of movement, diaphragmatic breathing, mental focus/resilience, flexibility, blood/lymphatic circulation and recovery from other physical activities. We've brought mindfulness and breath awareness into the classic "Roll and Release" class (self-administered deep tissue myofascial release/deep tissue massage). The result? An unravelling of deep tension holding patterns in your physical, mental and emotional body. The body is a mirror for the mind so it makes sense that we need to work on the roadmap of our entire being. We believe that fascia (web of deep connective tissue) is a storage system for the emotional body. If you are grasping a negative thought pattern or stuck in a repetitive cycle of emotional contraction, eventually it's going to show up in the physical body. We've all experienced the way fear makes your body shrink inside. A focus on breath work while accessing deep energy lines (in a very different way to yin yoga) is like experiencing an oil change for your energetic body. Flow with more freedom through life.